Valerie Fortney is a veteran Canadian journalist with a successful career in broadcasting, magazines, and newspapers. She was a regular contributor in the 1990s to the popular CBC Radio show Basic Black, and served as a frequent commentator for CBC Newsworld. Her passion, however, has always been the written word. 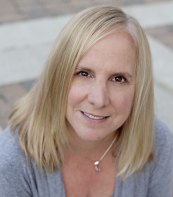 Valerie’s feature writing has appeared across North America and around the world, in publications such as Chatelaine, The Los Angeles Times and Reader’s Digest International. In the 1990s, she was the founding editor of Avenue magazine, a Calgary magazine named Best New Magazine at the 1997 National Magazine Awards. The magazine won several other regional and national awards during her tenure. A columnist and feature writer at the Calgary Herald since 1998, Valerie has been recognized for her versatility through two National Newspaper Award nominations, one for breaking news, and the other for investigative work. As joint writer of a series on dowry scams in India, in 2006 she was awarded the Commonwealth Writers Union Pictures and Words prize, along with the Daniel Pearl Award for Print Journalism, an award presented by Columbia University and endorsed by the Daniel Pearl Award Foundation. WHEN SHE DIED ON THE BATTLEFIELDS OF AFGHANISTAN ON MAY 17, 2006, 26-YEAR-OLD CAPTAIN NICHOLA GODDARD BECAME THE 16TH CANADIAN SOLDIER TO DIE IN THAT COUNTRY SINCE 2002. SHE ALSO EARNED HERSELF A SPOT IN THE HISTORY BOOKS AS THE FIRST FEMALE CANADIAN SOLDIER TO DIE IN COMBAT IN MORE THAN A CENTURY OF FIGHTING AND PEACEKEEPING AROUND THE WORLD. Goddard, say her friends and family, would have hated being singled out for her gender: she was as strong, as capable and brave as any male in uniform. She was not just a soldier on equal footing with her fellow troops; she was a leader in one of the most dangerous positions in the armed forces, a Forward Observation Officer with the artillery unit. But she was the most unlikely of soldiers. She was born to educators who described themselves as left-wing hippies and devoted their careers to building education systems in oppressed and war-torn countries. 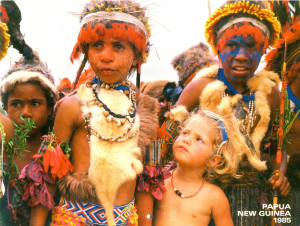 Tim and Sally Goddard lived and breathed a “books, not bombs” philosophy that took them everywhere from Papua New Guinea to Canada’s native reserves to Kosovo. Tim Goddard, now Dean of Education at the University of Prince Edward Island, continually challenged his daughter on her choices, both when she was a student at Royal Military College in Kingston, Ontario, and, via regular phone calls and emails, while she served in the sweltering heat of Afghanistan. Whether or not he believed in the rightness of her chosen task, what mattered most to him was that Nichola live an examined life. 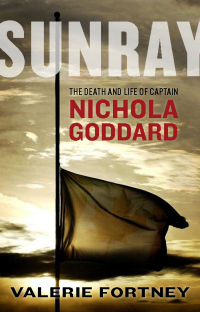 Sunray traces the journey of the Goddards, and Nichola, as they make their way around the world, exploring the influences on all as they form their worldviews and come to two very different approaches to serving one’s country and planet. The book is much more than the story of a young woman who died tragically; it is also the story of an incredible life lived all over the world, in which one family serves as the embodiment of the wider debate on the Afghanistan mission. This is a story that holds wide appeal. In the telling of a young life ended all too early in the name of duty, it weaves tales of exotic places and eccentric people with an engaging biography of a notable Canadian woman. At the same time, it takes a hard look at the choices we make in places like Afghanistan, and the consequences of war.